The Mothae plant. 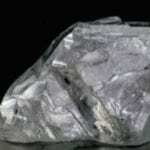 Image: Lucapa Diamond Company. 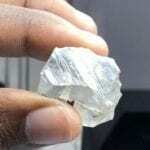 Lucapa Diamond Company has recovered an 83.9-carat diamond from its Mothae kimberlite plant in Lesotho, southern Africa. 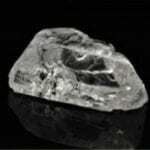 The stone is the fourth 50-plus carat diamond recovered from the new operation. It follows the recovery of a 51.2-carat diamond in February, and special diamonds weighing 78 carats and 89 carats from the 2018 bulk sampling program. 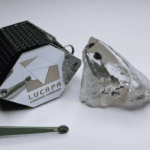 While the 83.9-carat diamond is not gem quality, Lucapa believes it continues to underline the large-stone nature of the Mothae kimberlite resource. Lucapa managing director Stephen Wetherall said the company and joint venture partner, the Government of Lesotho, continued to be impressed by the recoveries from Mothae. “We are highly encouraged that the coarse size fraction in our recently commenced commercial production through the new 1.1 million tonne per annum Mothae plant is reinforcing why Lucapa invested in this second high-value resource to complement production from the Lulo mine in Angola,” Wetherall said. Lulo, Lucapa’s flagship asset, has produced 12 diamonds of more than 100 carats and is the highest US dollar per carat alluvial diamond operation in the world. Lucapa launched commercial production at the Mothae mine in January this year.